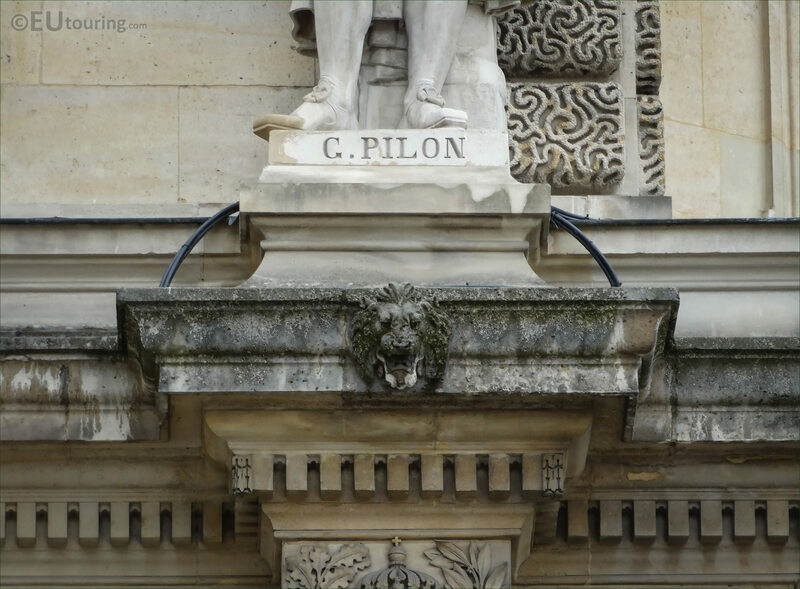 Again we were within the Cour Napoleon of the Musee du Louvre, located in the 1st Arrondissement of Paris, when we took these high definition photos showing the statue of Germain Pilon on the Rotonde d'Apollon, which was sculpted by Louis Desprez. This first HD photo shows the stone statue of G Pilon, which is positioned on the first level of the Rotonde d'Apollon wing for the former Palais du Louvre, and this was put in place in 1857 as the third statue from the right hand side, on the part of the facade that juts out further into the courtyard. 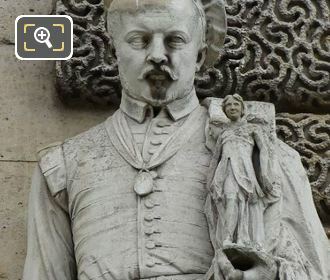 And this statue was produced by Louis Desprez who was born in Paris in 1799, and being a pupil of Francois Joseph Bosio, he became a French sculptor and won the Prix de Rome, so spent some time in Rome before returning to Paris. 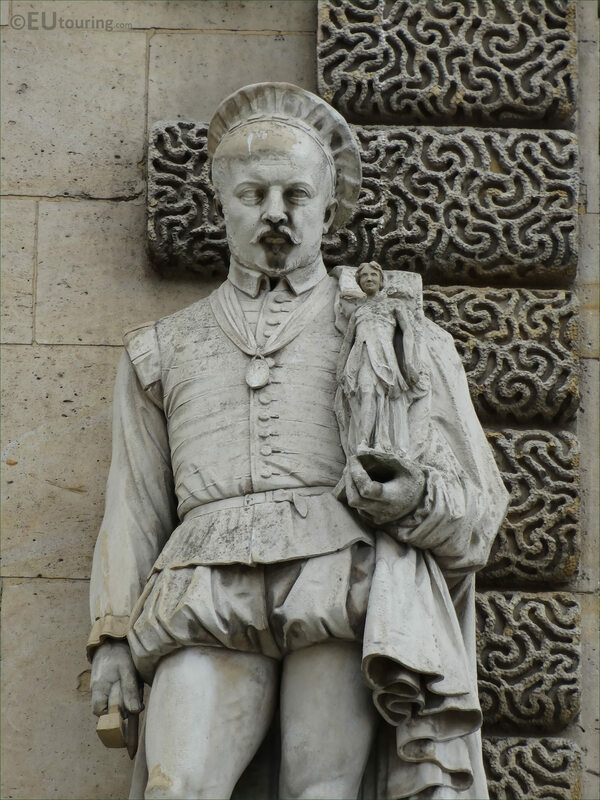 Now Louis Desprez was mainly recognised for his busts and portrait statues like this one, but please do not get confused with another person by the name of Louis Jean Desprez, who was born slightly earlier in the 1700s, and was a French painter and architect that spent many years in Sweden. 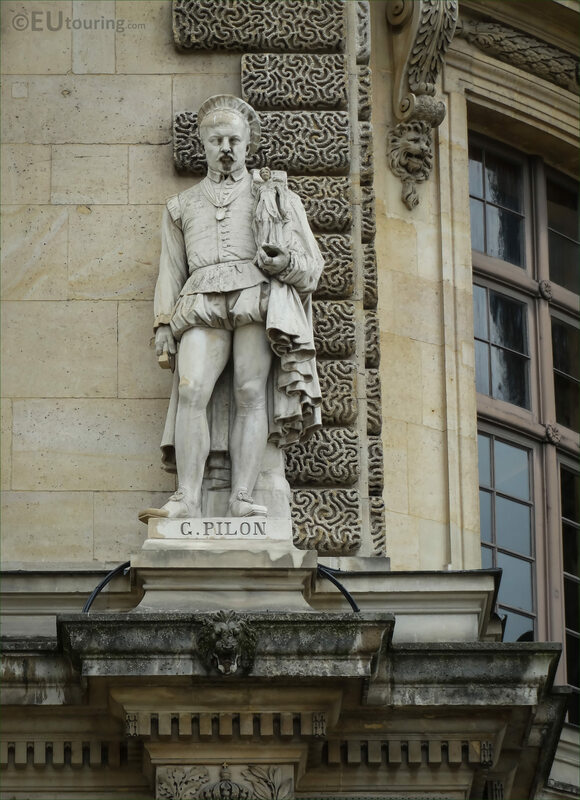 But in this last image you can see the base of the statue with the name inscription depicting Germain Pilon, who was born around the 1520s and became a French Renaissance sculptor, who was the favourite sculptor of Queen Catherine de Medici. 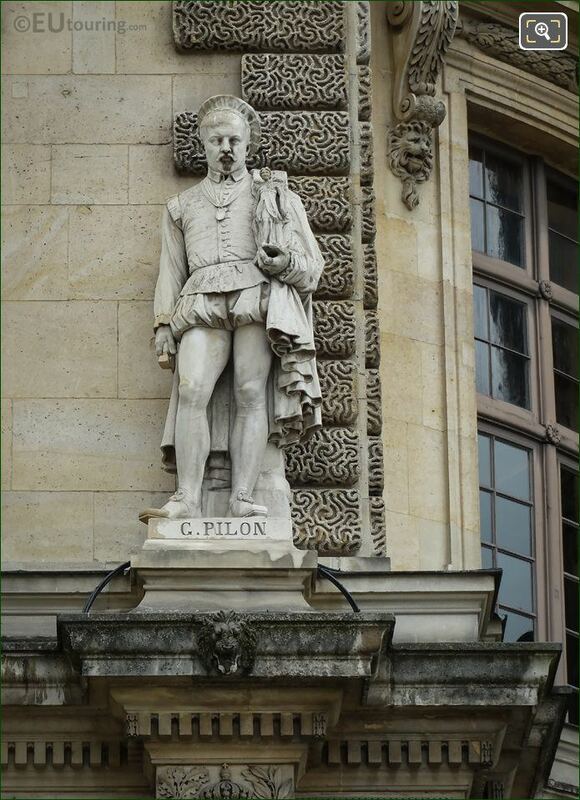 The works of Germain Pilon were recognised for their realism and a lot of his works were for funerary monuments and just to name a few, these included a monument containing the heart of Henry II of France, the tomb of King Henry II and Catherine de Medici at the Abbey Church of Saint Denis Basilica plus effigies of Henry II and Catherine de Medici in coronation dress located at the same place, just outside of Paris.